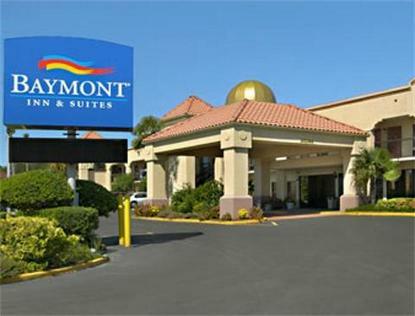 Located just off I-10 at Tillmans Corner, we are close to Robert Trent Jones Golf Course, International Speedway, Hank Aaron Stadium, Historic Battleship Parkway, beautiful Bellingrath Gardens, exciting Mobile Greyhound Park, and the Biloxi casinos are only 50 miles away. Friendly southern hospitality welcomes you to the comfort and luxury of this Spanish-style abode. Help yourself to our complimentary deluxe breakfast bar, soak up the sun around our beautiful landscaped swimming pool, or just enjoy the quiet privacy of your room. All rooms include high speed internet access, 32 inch Flat Panel TV with 60 channels including HBO and Showtime, microwave, refrigerator, coffee/tea maker, hair dryer, iron and ironing board, and AM/FM alarm clock radio.